Well what a weekend it has been. As I sit here going through my photos it is remarkable how after several years of exploring the Gower Peninsula it is still possible to find new species of wildlife, explore new places and experience a familiar location in a completely surreal state of affairs. As is often the case the main impetus for the step away from the usual was the opportunity to show some visitors why I love this place so much. On this occasion the guests in question were Emma's parents so on Saturday we headed for the beautiful Three Cliffs bay. Although I have been to Three Cliffs before, I have always arrived via the coastline from Oxwich Bay. 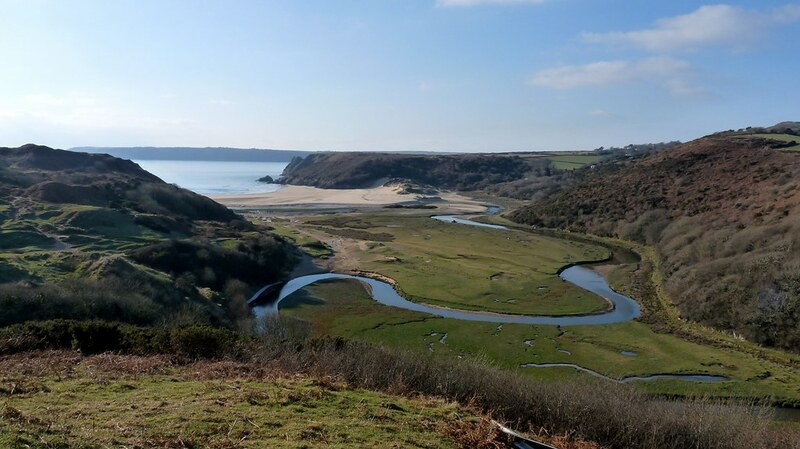 This time however we chose to start at Parkmill and walk alongside Pennard Pill, traveling through the heart of the valley that eventually opens up onto the sea. A Buzzard and a very noisy Jay were the first birds of the day but our attention was very quickly drawn to the river as I glimpsed two unfamiliar waders flying back upstream past us. The quivering wing beats had me assuming a Sandpiper but of which species I was not sure. I quickly retraced my steps until one of the birds was in view and to my glee it turned out to be a Green Sandpiper, a new species for me on Gower and indeed Wales as a whole. An added bonus was the Little Grebe that popped up practically at my feet whilst I was stood on the bank before quickly diving again. I had begun to think that they had all fled for warmer climates after the cold weather so it was good to finally find my first one of 2011. Further along the river a couple of Ringed Plovers were also feeding. The beach at Three Cliffs was as picturesque as always and once again had subtlety changed shape since I was last there. Six Oystercatchers were feeding along the waters edge on the incoming tide but they were soon forced to move along in the face of the ever approaching water. Also on the move was a small flock of five Sanderling that seemed to appear out of nowhere and which landed briefly on the sand. I tried to approach closer but they were soon off again. Thinking that was that we started to walk back the way we had come and stumbled upon them once more on the opposite bank of the river. They seemed very well settled so I paddled into the middle of the water to get a better angle to photograph from. I am very happy with the results as photographing a small white bird on a dark background in full sun was certainly proving rather challenging. The visit was finished off rather nicely by a pair of Merlin that flew across the valley towards us, landed briefly in a tree a few meters away before heading back over to the other side once again giving brilliant views in the process. To finish off the day we headed to Rhossili for a walk along the beach. I should say at this point that although it was very sunny the temperature had still not risen above zero by mid afternoon. When combined with overnight freezing temperatures the conditions had made a remarkable impact on the scene before us. The beach often has water draining across it from the hills behind and Saturday was no exception. 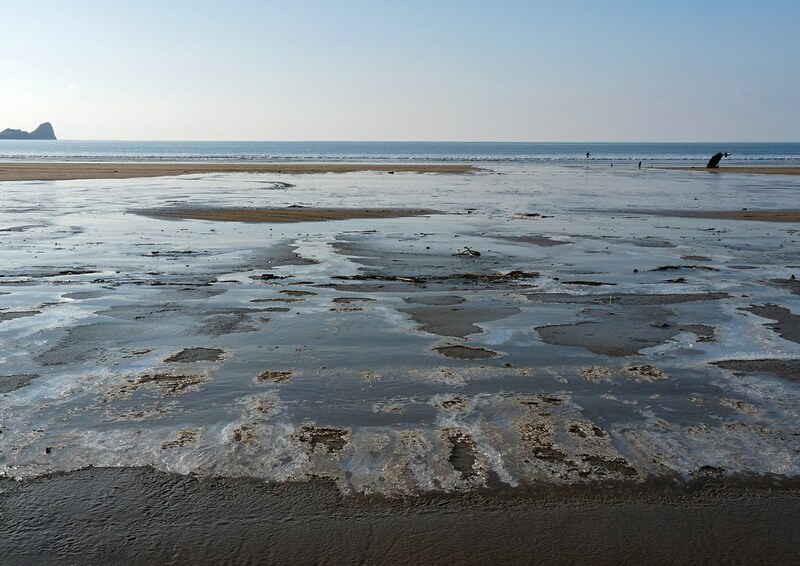 What was unusual however was that it had all completely frozen resulting in vast swathes of the beach being turned into sheets of ice. I have never seen ice on a UK beach before so this was a completely alien experience as we slipped and slid our way along. I have several more pictures of the ice which I will share in another entry later this week. Also on the beach were a couple more Sanderling along with hundred of Gulls, consisting of predominantly Herring and Black Headed. 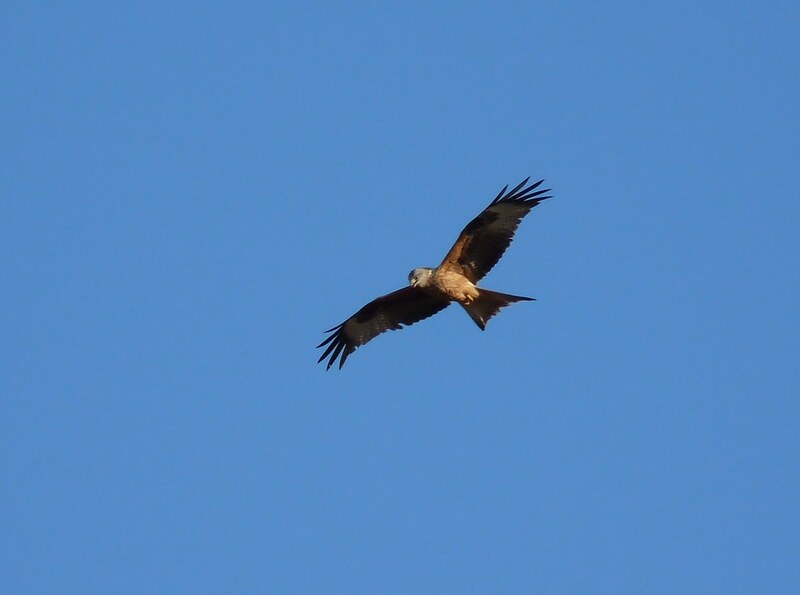 The highlight though was a Red Kite that was hunting over the fields to the north of Rhossili village. I presume this bird is the same one that has been seen here on and off since Christmas but it was great to finally catch up with it myself. I'll leave it there for now but I have plenty more to share throughout the week. Check back for more fantastic Rhossili ice, a Sea Cucumber, Sunday's RSPB Big Garden Birdwatch and a frozen walk up Cwm Dulais. Blimey, I think I need the next week at work as rest after cramming all that lot into a weekend! Excellent set Adam, especially the Sanderling. The Red Kite is a stunner of a bird, isn't it. We get a few here; always stop me in my tracks when I see them. Thanks very much. 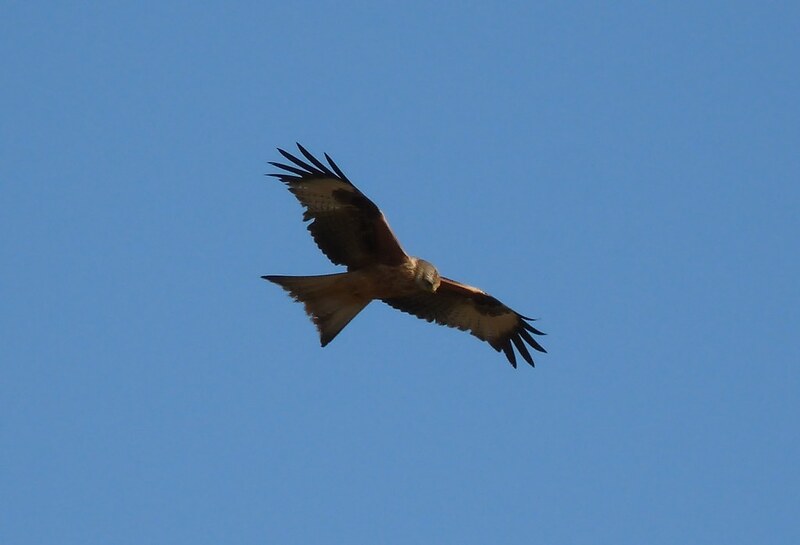 I'm fortunate to have a couple of regular Red Kites that are often circling over the garden. It's amazing when I think bank to how rare these birds were when I used to holiday in Wales as a child. Nice shots. Good to see the Green Sandpiper; I used to see one there virtually every time I went to Pennard Pill in winter, although haven't been much lately. P.S. - It's peninsula, not peninsulaR! Thanks Jeremy. And the spelling has been duly corrected. 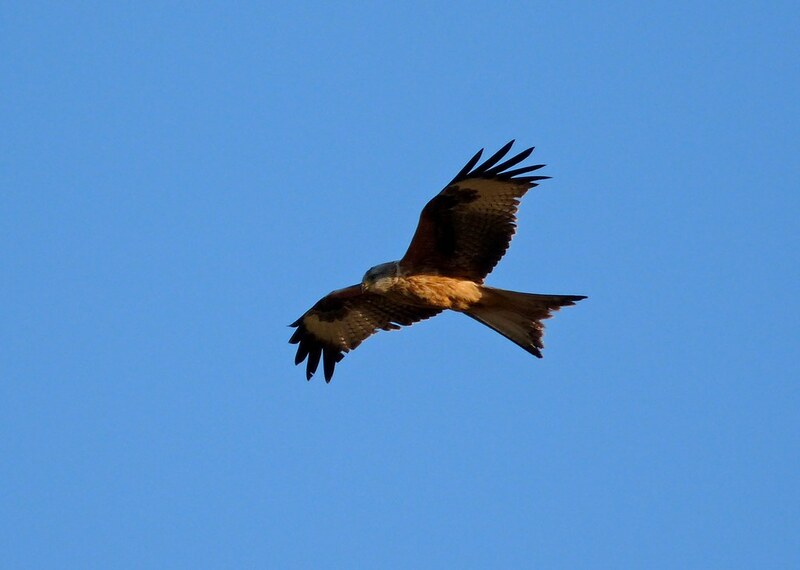 Red Kite love the sound of lawn mowers. Great photos. I especially like the ones of the Sanderlings which must have a very wide distribution as I see them here in SE Queensland, Australia every summer i.e. your winter! An excellent post Adam and I can see why you love this location so much. 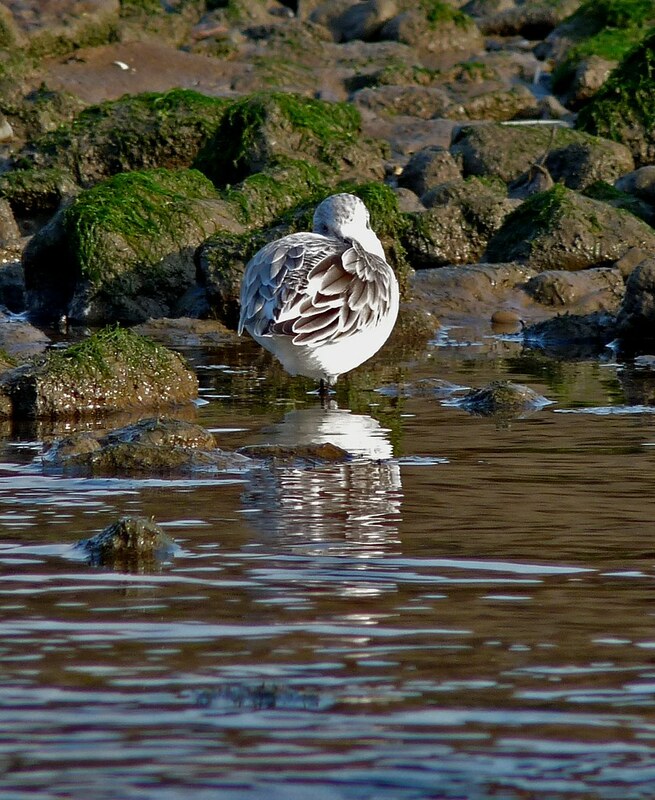 I would love to be closer to the coast enjoying encounters with the Sanderling etc. FAB. Great group of photos here! Really nice shot of the Kite in flight! IM blown away by those Kite photos! Excellent-and what a beautiful area you have to explore! Great series of photos!! Boom & Gary of the Vermilon River, Canada. A lovely place and delightful bird shots. Nice account.... 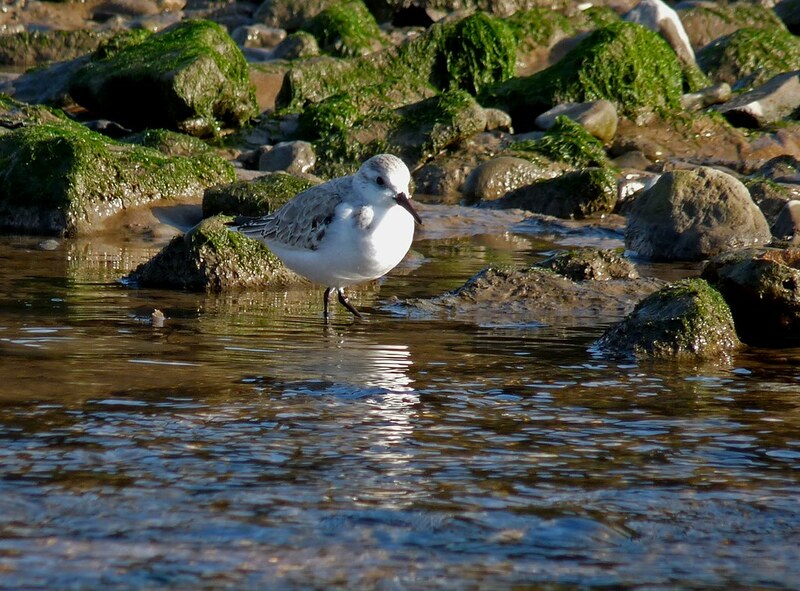 I love the Sanderling, a smashing little wader. A part of the UK that I have never visited... I am blessed with the Peak District but have to venture over to the Wirral for my wader fest, maybe one day I will ventuire down you way. Duck-or-grouse - Lawnmowers? That's certainly a strange one. I'll have to give that a try next time I cut my lawn as we often have a couple of Red Kites over the garden. Mick - Amazing to find how widespread these birds are. I've seen some in Florida as well so they certainly get around. Pattyler - Thanks very much. Dixxe - Thanks. It really is a fantastic area. Dave - It's definitely worth a visit to Gower as the scenery is fantastic and the variety of birds is pretty spectacular.